Speaking of menudo -- my Mom's version had ground beef, carrots, onions, raisins, chickpeas, liver and tomatoes. Not sure if it had potatoes (probably not). Anyone have menudo stories to share? Out of all the times I've been to turo-turos here in the U.S., I've NEVER seen menudo on the menu. Same with the terms soup and viand that superimposed a terminology and concept that’s foreign to a rice-eating culture. To this culture all the dishes in a meal is viewed for its role in relation to the rice. We even have a verb for when you eat unaccompanied by rice a dish that is normally eaten with rice. As you can expect, the word carries with it a tone of mild disapproval. Apicio, do you mean the term papak? Yes, it's a mild disapproval especially when a mother admonishes a child: "Bakit mo yan pinapapak?" (literally 'Why are you eating that without rice?") It may be a question but a Filipino would know the mother isn't waiting for an answer! One thing I notice about western critiques of Filipino food is that it's too salty. That means they really don't get the whole point of it being eaten with rice - precisely because we come from an agrarian society. Meaning? Carbo-loading is necessary to accomplish all that back-breaking labour under the heat of the sun, plus humidity! Soba, ground beef aside from the diced/cubed meat? That's the first time I've heard of that although menudo recipes vary from place to place, between households and even between ordinary days and special occasions. Did you try asking the eateries why they don't carry menudo? Dunno why you've never found menudo at turo-turo style restaurants in the U.S.; it's available daily at Josephine's, the restaurant at which I documented lunch in my Foodblog. Found two recipes for menudo on PinoyCook.net: this first one using pork belly is more traditional, and this second one substitutes ground pork for pork belly. Like your Mom, mine also used ground beef or pork more often than cooking the traditional version. And raisins too. Can't forget the raisins. And raisins too. Can't forget the raisins. My mom's menudo is one of my comfort foods. Same ingredients as soba's minus the raisins. I don't mind them, but my mom hates raisins in any Filipino savory dish. The must-have ingredient for me is the chickpeas. about menudo. this may shock some of you (but then again, maybe not) -- but my lolo was making menudo once for the whole family and didn't have enough meat, so he used.... HOTDOGS! it became a family tradition and now my brother HAS to have hotdogs in it or it's not menudo for him. i wouldn't be surprised if this practice isn't unique in my family, though i haven't put hotdogs in mine for years, for health reasons. OTOH, i've posted on friends' blogs before about a dish that stumps me -- i first had it at a cousin-in-law's house, but i haven't found a Pinoy who's familiar with it -- perhaps someone here could help? it's "sinantomas", very similar to menudo, but with cheese! a bit of history and anything else you might know about the dish would be much appreciated. aha, papak! this is one Tagalog word my kids (born and raised here) know very well. it's a daily term used at the dinner table, especially when they love the ulam -- the meal usually ends with "Mommy, may I papak?" (Mommy, may I have more ulam without the rice?).... i usually acquiesce unless dad needs it for his baon (packed lunch the next day). brian, thanks for the videoke explanation. not having been to the philippines in 8 years, i haven't seen our newer videoke/karaoke bars. as for the crabs, you're right, we didn't traditionally have crab claw crackers. my parents cracked the crab claws for me with the help of a mallet or the handle of a knife . karen, are those crablets talangka? those are the only little crabs i am familiar with. and ITA about the rice -- most non-Pinoys perceive our food as salty because they're not used to having so much rice in a meal. i haven't delved into the history but i'm theorizing that in my ancestors' days, they couldn't afford to put a lot of ulam on the table. i've even heard tales of people just adding salt to their rice. when i was little and didn't like what was on the table i'd have some bagoong and kalamansi with my rice. my papa called the practice nagkikimi. whereas here in the US it's usually the protein part of the meal that's dominant on our plates, in our Pinoy tables it's the rice. though this has been changing lately with the media's preoccupation with diets; even Pinoys are into South Beach and other low-carb diets. Cool! I guess I shouldn't be surprised that Filipino menudo is a very different creature from Mexican menudo, but it's still fascinating to compare and contrast. I've been at Elvie's in the East Village several times and I've never seen menudo there. Haven't thought to ask. Yes, she uses ground beef in addition to the liver (which is diced, if memory serves). About kare-kare, my Lola comes to the U.S. once a year or so. The last time she was here that I remember, she made kare-kare, and served bagoong with it. She fried the bagoong until crumbly, and mixed in what must have been something like half a head of raw minced garlic. I've never had kare-kare in this way (with fried bagoong), and it was a revelation. And there's this dish, now that I think about it, with braised pork in a soy-based sauce, with whole peeled hard-boiled eggs. I can't remember, for the life of me, what the name of this dish is. like pppans, i'm not too familiar with menudo using ground meat, though i've seen several recipes in cookbooks doing exactly that. (ground meat is what we use for picadillo -- which may or may not include raisins -- and also very similar to the meat mixture in arroz a la cubana, the main difference being that the cubana dish is served with fried saba bananas.) my lolo insisted that everything for menudo be cubed, and uniformly too. curiously, the mexican menudo i've read about uses tripe, and is more similar to what we call callos. If you are kind of hesitant to tell people that you use hotdog, you can tell them you used viena sausage or frankfurters. They may look askance at these animal by-products but its predominant allspice flavour is an essential ingredient in most of our meat specialties such as Embutido, Morcon, Menudo and Pollo Relleno. In addition to our normal Menudo, we also have a variation than contains a high proportion of diced beef liver. We call it Hígado. Ah a Chinese dish with a Spanish name. Asado. This is also what they use as filling for our version of char jiu bao down to the quartered hard boiled eggs. Mizducky, if you meet our champurrado and tamales you might find them "different creatures" too! Soba, you mean it was your first time to eat kare-kare with bagoong or just the way the bagoong was cooked? Stef, those do look like talangka. Crispy crablets usually are. Another one of our similarities: Rice with bagoong and calamansi! I used to do that too, especially on rainy days. My mom tried to limit it but because of the salt intake, not for the carbo-loading! Hahaha! Rhea, we don't use raisins either. I don't know if this is just personal preference because we use raisins in other savoury dishes. Hmmm... come to think of it, I've never eaten menudo with raisins - at least not in Pampanga. Like Stef's grandfather, my Lola was very strict with sizes and textures. For menudo, the meat, potatoes and carrots had to be uniformly cubed. The capsicum had to be in squares. We could vary the ingredients i.e. subtract one or two on ordinary days (omit chick peas and/or capsicum) but we can never change the form like use ground meat for example. 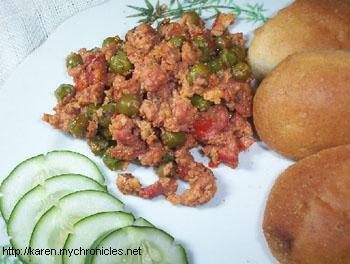 If we did, then it becomes another dish, like palaman torta or omelette filling (similar to Tagalog picadillo or giniling, Cebuano ginaling) or another one, pistu (picture below). Different dish because technically speaking, changing the size/form would also vary the cooking time of the ingredients. Cubed meat needs to be cooked longer, meaning the garlic, onions and tomatoes would be simmering longer and would thus taste more mellow than a ground pork menudo. I think this logic comes from the time before refrigerators, when they still slow cooked in clay pots over wood-burning stoves with fresh ingredients. Meat for menudo, was also parboiled or sinangkutsa in just plain water, garlic, salt, herbs and very, very little vinegar if at all while the sangkutsa for afritada had a little more vinegar because of the bigger slices. How interesting to compare notes! whereas here in the US it's usually the protein part of the meal that's dominant on our plates, in our Pinoy tables it's the rice. though this has been changing lately with the media's preoccupation with diets; even Pinoys are into South Beach and other low-carb diets. South Beach Diet, oy. Filipino food and dieting seem to be unreconcilable but can be done. The problem is most of our dishes simply cry out to heaven for rice and frankly, a lot of them do not make sense without rice. Take for example, tuyo, daing and delicious dilis. And then you also have to scale the cultural hurdle of eating the dishes unaccompanied with rice, the dreaded papak thats is saddled with opprobrium. But when I considered the alternative, I opted to shed. I have lost 25 pounds now since November. 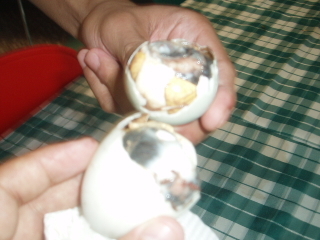 How bout some Balut? My friend sent me this to tease. they had it in the office the day after i left. see now i would have had it in the office but off the street is another story. not too food related, but i found out what beach i had traveled to. 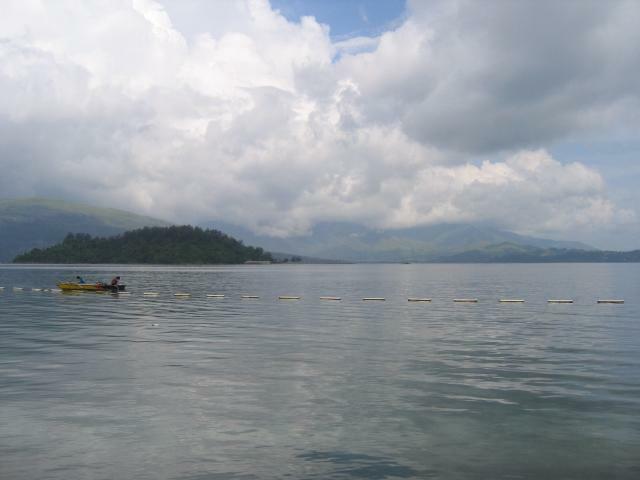 It was White Beach Resort, Subic, Zambales. Here are a few pics from the beach. it rained every 40 mins and then would be blazing sun. quite the experience. It's funny that you guys speak of the importance of rice. I got some strange looks the first day at lunch when i said i didn't need any rice... but i learned quickly. I'll have to take some pics of the foods i had at lunch time next time. They just served family style and i didn't know what i was eating half the time. Just the way the bagoong was cooked in the event I was unclear. 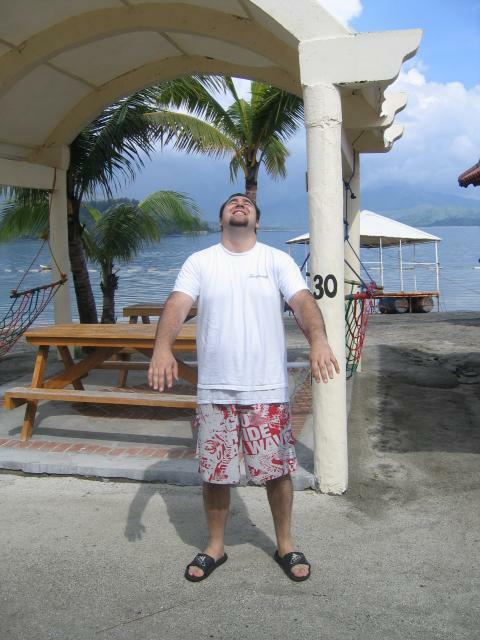 Hi Brian, Subic indeed! I should've remembered it only takes around 3 hours to get there now, after the expressway was rehabilitated. 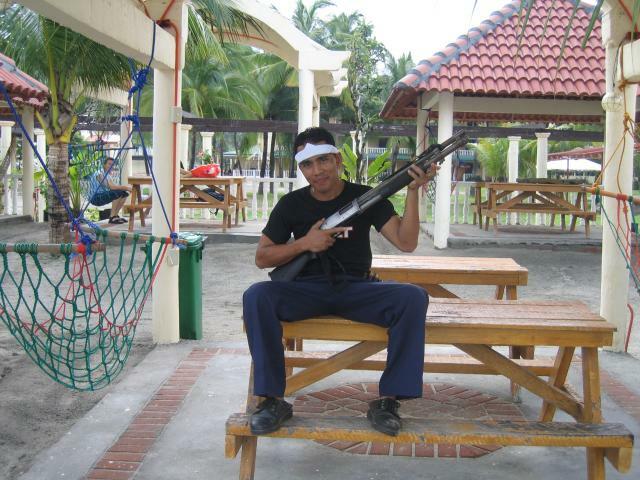 After the Dos Palmas incident, most resorts have taken extra precautions, hence the shotgun. 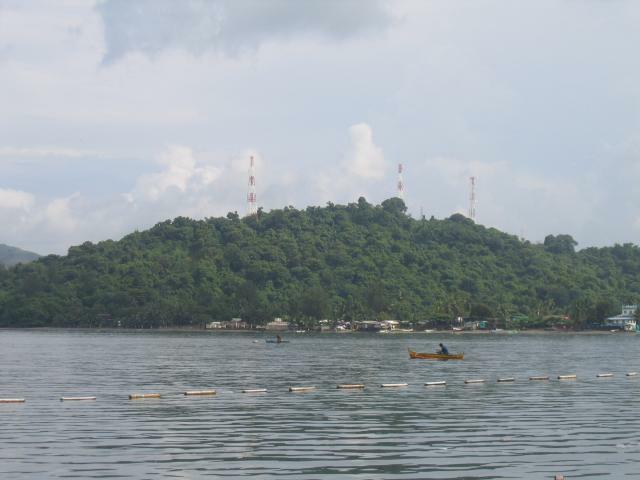 I am almost sure that's the reason, especially that Subic faces the South China Sea. 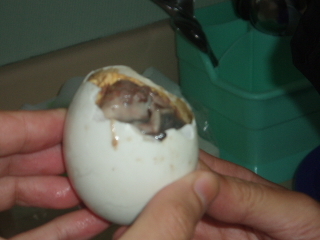 I shall refrain from commenting on balut other than to mention that I was rather fond of it as a very young child. A propos the seafood though, not an hour from Subic, in Orani, Bataan, there is a round-the-clock seafood market that likely supplied the crab(s) and the scallops in your pictures. And the almost unbearable heat makes me wonder how the sellers keep their highly perishable merchandise from going high in a hurry. Taking this on a slight tangent, does anyone have comments on the quality of rice in the Philippines? My mother, during her last trip there (which was also her first trip there in about 20 years), commented on how horrible the rice is. She claims that when she was younger (she's almost 70 now), the rice was much better than now--softer, better flavour, etc. She also said there were a number of varieties, one of which starts her mouth watering whenever she thinks of it. It seems that almost all the good varieties have disappeared (though one of my SIT-mates has started a program planting heirloom rice varieties). Would anyone like to confirm or contradict my mother's thoughts? Or does anyone know where one can get good rice in the Philippines (preferably somewhere around Negros). She was thinking of bringing some Thai rice over, or even Chinese rice, when she goes next winter, because she can't stand the thought of eating that crappy rice for 3-6 months. Your mom wintering in the Philippines reminds me of my aunt who comes home from Canada when it gets cold. We call her a migratory species. I notice a difference within the last ten years although one can still get good rice varieties. A friend's German husband actually wants to import Philippine rice to Germany. However, the qualification is that we are in Luzon, I am specifically within the central plains, the traditional rice granary of the Philippines. What I notice is that some rice varieties spoil faster, even if we cook it over wood (this used to prolong the shelf life). It's also more mushy, not fluffy as your mom says. One of the reasons is that rice grains used to be dried longer, under the heat of the sun while now they take shortcuts sunning it and then it goes to an artificial dryer, if I'm not mistaken. I won't go into the other reason - new rice varieties developed. I might have to write a treatise if I start. If your mom buys the traditional (but more pricey) varieties such as milagrosa and dinorado, perhaps she'll be satisfied. I am not sure about the rice supply in Negros though. She can purchase a sack in Manila. That would surely be better than hauling one through Customs. Your friend's project is wonderful! I wonder if it's part of the cooperative of organic rice growers. Could be! In addition, farmers consider a lot of factors in deciding what crop to plant from year to year. The most important factors are market demand and suitability to the parcel of land he is tilling. In other words, he will only plant what will grow well in his paddies and only what will command the best price at harvest time. It is conceivable that the rice quality has changed in the last twenty or thirty years and because your mother has stayed away for an extended period, she is now more apt to find the accumulated change shocking. But the loss of diversity in rice culture was well underway even when I was growing up in the fifties and sixties. This was one of the problems that the International Rice Research Institute was trying to address with its gene bank. I remember one of the first strains of rice they developed was a high-yield variety that was called Miracle Rice but since it did not conform to the expected flavour and texture of traditional varieties people rejected it and jokingly deemed it to be a miracle only if you liked it. But they have done a lot of much better work since. Do not forget that the Southeast Asian graduates of Los Baños are now the agriculturists guiding rice production in Thailand, Vietnam and other places in the region. 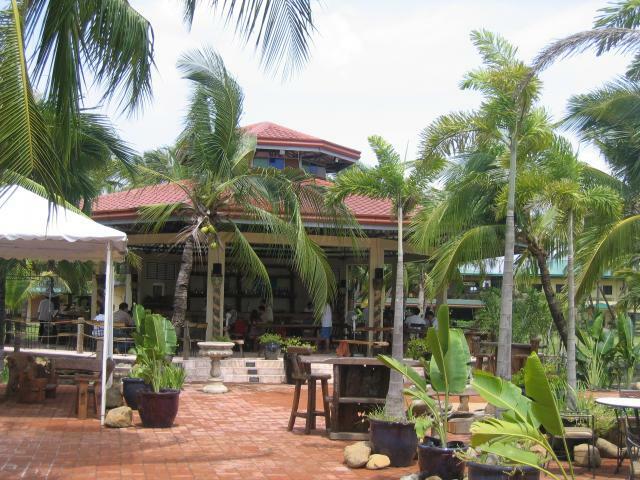 Are you anywhere near Pangasinan? My uncle is thinking of moving back to the Phil. with his wife. She's from Pangansinan, and her family used to grow rice, but the land has been sitting unused for many years. My uncle thinks they should start up again. I passed the names of those varieties on to her. She won't be stopping in Manila, though, just passing through. But I'm sure some family member will send some to her if she can't find it in Bacolod. She's still planning on bringing some Japanese rice and basmati, though! The rice she remembers the most is called Magsanaya, and it was grown in Negros. 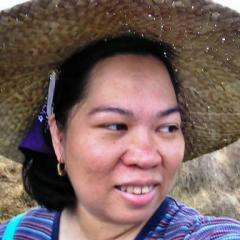 She said that since the farmers in Negros went more towards rice, that particular variety got lost. She said the fragrance was especially nice. Maybe Los Baños can help her find it again. I heard from someone that some small-scale farmers may also have been pushed out of the rice business by a certain non-democratic terrorist group (can I call them a terrorist group?). Do you think there's any truth to that, or should I not discuss that in a public forum...they're everywhere, doncha know! My mother remembers Miracle Rice, too...and not fondly! Mother on the other hand was deeply suspicious of anything that has to do with nuns or priests or even worse, nuns with priests. All of us kind of tiptoed around her for fear of triggering her barrage of spanish invectives let out in fits of disgust and outrage. But this is way off topic. Still very off-topic, I laughed when I read the above. Supposedly, one of my great-grandfathers (or maybe great great grandfather?) was a Spanish priest. A mark of shame in the Philippines, but one of my mother's Spanish friends told her that it would be considered an honour to have a forebear who is a priest in Spain! Roughly, I'm midway between Manila and Pangasinan. I think your uncle and auntie's wishing to plant again is an excellent decision. Let me get back to you on other decent rice varieties. I'll check with a friend who used to work in IRRI. Hmmm... non-democratic terrorists might be going too far. Much as they used armed struggle as a means, they're far from being your usual suspects. They have splinter groups though, and some have gone the way of terrorism. Not only did the overall quality of rice changed, a lot of other food items changed too, probably to catch up with prevailing taste and demand or probably just to cut corners and cost of production. PPPans’ lola’s assertion about present day tocino agrees with my mother’s principled opposition to it, that it contains way too much sugar now. How can something with so much sugar not taste good? That’s probably the cue that tocino makers are responding to when doing the add-more-sugar trick. But the sugar burns long before the meat is fully cooked! On top of that, instead of allowing natural fermentation (to acidify it) and full oxidation of the nitrite preservatives (to avoid greying) they cut the curing short and add this totally revolting artificial colour that turns the meat unappetizingly livid. Our unsweetened version from the fifties and sixties was actually called burong baboy. Same too sweet complaint for today’s longanisa. Our’s used no sugar, only lean pork, backfat, vinegar, garlic, pepper, salt and a tiny bit of saltpeter and if you want some zing, hot paprika, this last imparted the reddish tinge. But I guess they were so good too because the pork that went into them was already tasty to start with since it came from “free-range” pigs (gumagala). Our other dried meats show a marked Spanish incursion though because pindang is limited to horse meat while all the rest are called tapa (may that be beef, water buffalo and game such as deer or wild boar). And still on the tapa trail, in the seasonal drylands of Brazil which encompasses a vast territory given to pasture, they also preserve beef by drying and they call this carne do sol. Imagine my drooling surprise finding out that they serve it exactly the way we cook corned beef hash, minced and sautéed with lots of onion strands. Taste exactly the same too. Just delicious. Yipes! Apicio's citing my Lola! Our pindang was just meat and salt then fermented in a pot by putting a stone weight on top of the meat. One recipe variation was something a bit sweet with the addition of a little honey, which also acts as a tenderiser. Saltpetre or salitre was optional, even when it was still legal. Now they use prague powder but we don't, since it's only for home use. Longanisa had lots of garlic and black pepper with some other spices. I suppose a preview of what I found out about tocino is in order. According to the long-time meat sellers, it was actually an attempt to sell cured meat during hard times (late 1970s). Add more sugar, the meat is heavier. No wonder they can sell tocino at PhP90/kg when the pork is priced at PhP120 nowadays. Same with longanisa. It's also sweet now. As for the reason why it's red, someone said it's actually an imitation of the pindang usa of old - the venison would still be reddish even after curing.